ASTANA – The impressions from the vast steppes surrounding the capital offer little hope for winter sports such as skiing and snowboarding. 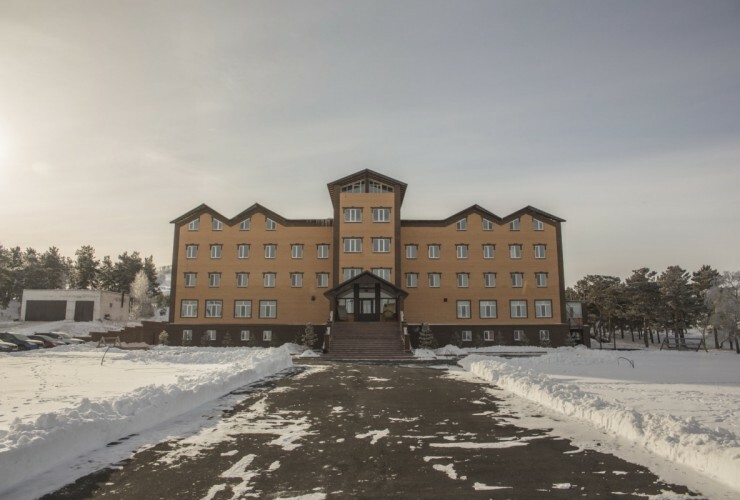 That’s why many of its residents are often surprised to learn about Yelikti (Elekti) ski resort located 325 kilometres from Astana and a few hours’ drive by car. The complex is named after the local town and mountain. The latter, at 500 metres above sea level, is its main attraction. The resort is the perfect starting place for those new to winter mountain sports. Experienced instructors work on all parts of the slope and lifts, providing additional individual snowboarding or skiing lessons for both children and adults. The resort is rarely overcrowded. 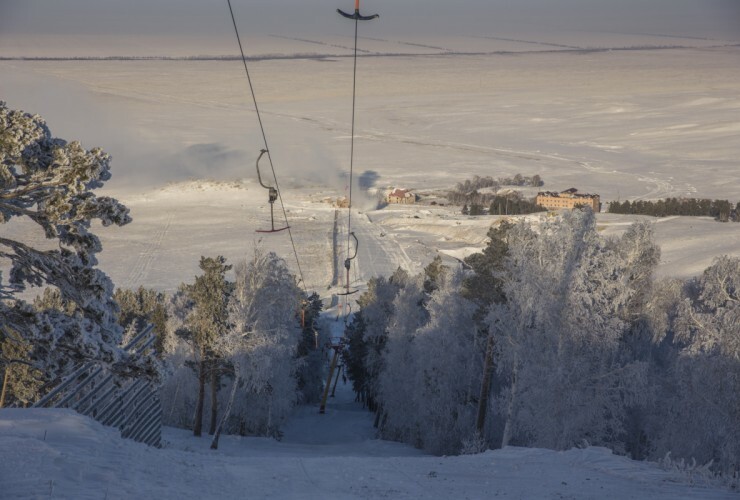 Despite the fact Yelikti is just a 30-minute trip from Kokshetau, the regional centre of the Akmola region, its winter sports lovers mainly visit on weekends and holidays. As a result, the complex offers weekday visitors up to a 50-percent discount on services. Yelikti is equipped with five T-bar surface lifts that can pull skiers and snowboarders 1,300 metres uphill. The tracks are divided into categories, with a smooth, wide and gentle slope for beginners, as well as steep downhills in forest glades featuring springboards and sharp turns for average and professional-level sportspeople. 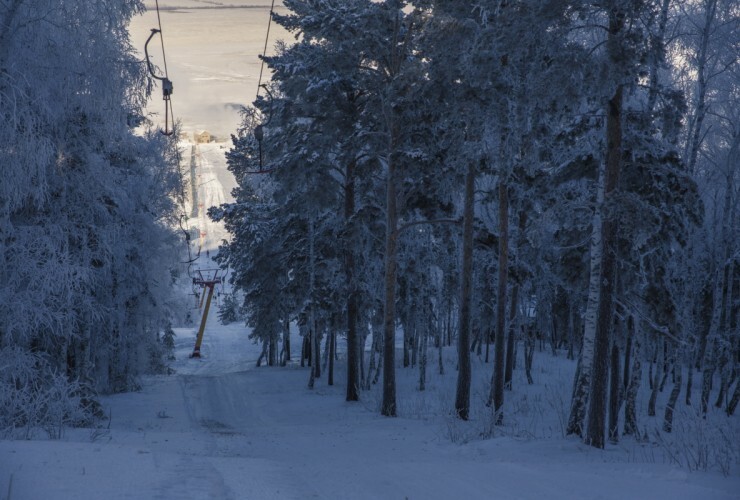 As for free-ride lovers, the resort owners suggest trying sliding between the trees in the winter forest. “The length of the slopes and a certain variety will allow you to learn to ride with confidence and even reach the level of ‘dropping heels.’ This is quite enough to not be afraid to travel to the ‘big mountains,’ saving money and time for training,” said visitor Vladimir Sobolev in a review on his blog vsobolev.com. The resort considers every detail for its guests’ comfortable stay. Visitors can buy or rent any necessary skiing and snowboarding equipment. Special attention is also paid to safety. The first aid service and a new snowmobile are constantly on duty for quick evacuation to a local medical centre. The complex is among those participating in Business Road Map 2020. 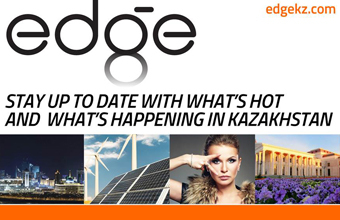 The project, started in 2012, has dedicated 450 million tenge (US$1.2 million) to developing a variety of enterprises. Visitors can stay at Yelikti’s new five-storey hotel. While their parents attack the slopes, children can spend their time in a playroom with heated floors, toys, a TV and game slide under the supervision of a caregiver. The hotel’s restaurant can serve up to 200 people celebrating events such as a corporate evening. There is even a room for prayer. “From the infrastructural point of view, everything is good at the Yelikti ski base. Comfort will be provided to you,” added Sobolev.